Excited to be going out in our Pursuit this week. We are heading a little further than we normally would for 2 nights, we are off to Woodstock. There is a reason, of course. 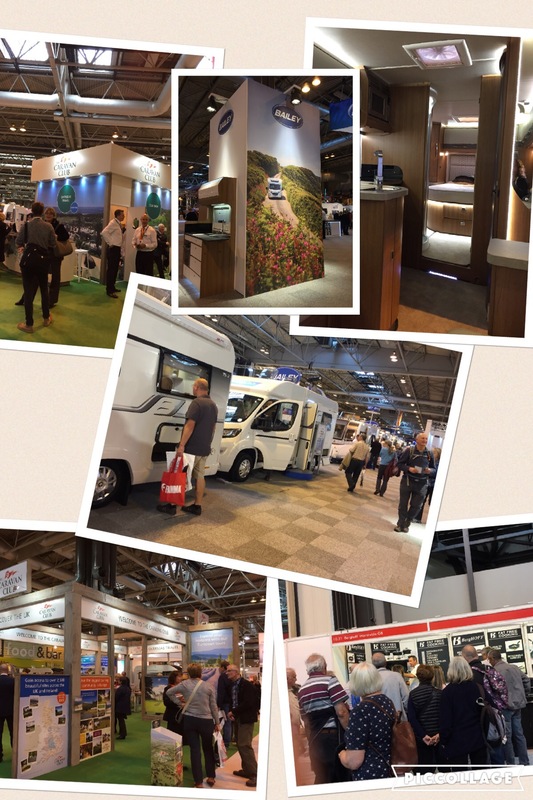 The Motorhome and Caravan Show at the NEC. An hour away from the NEC, we arrive at the Bladon Chains Caravan Club Site. The site is part of the Blenheim Palace Estate. The palace also offers an entry discount to members staying at the club site. 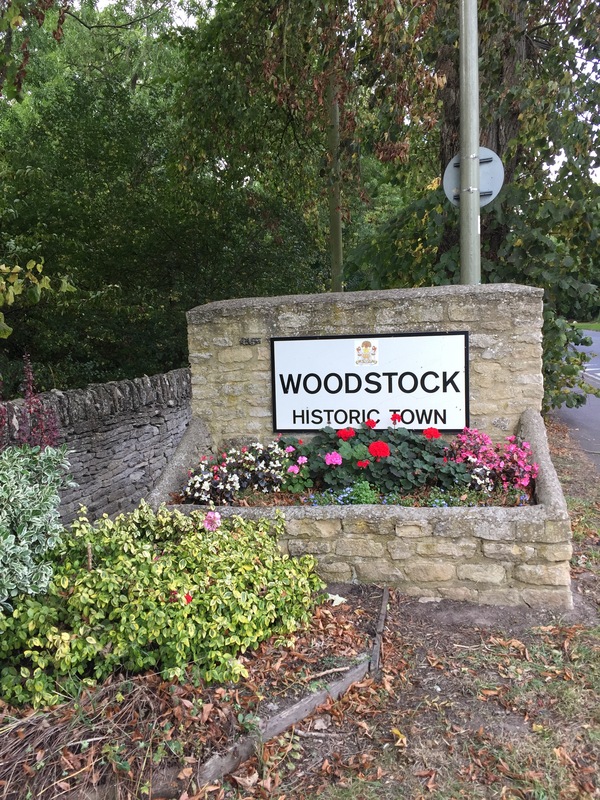 A short walk beyond the palace is the beautiful town of Woodstock. 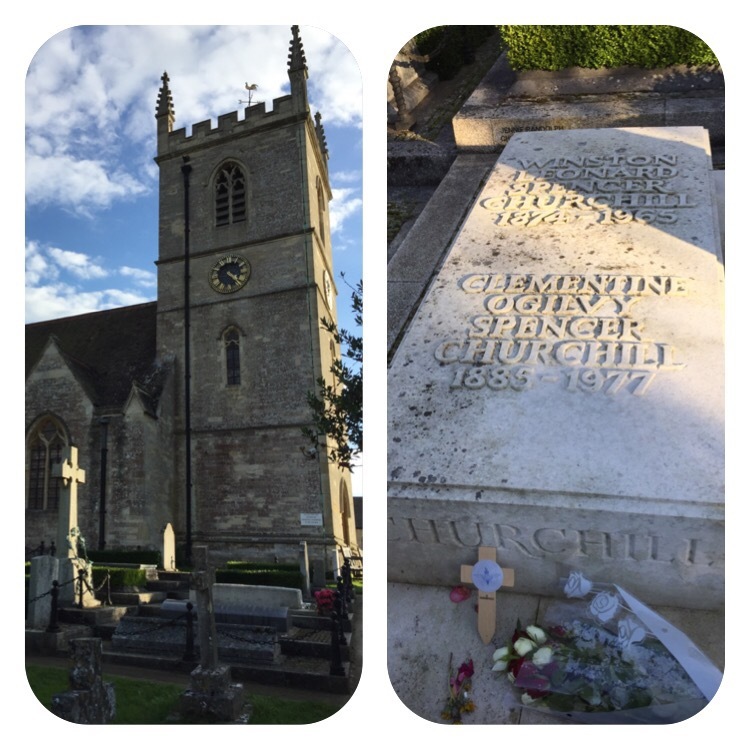 In the opposite direction from the site is Bladon, home to the final resting place of Winston Churchill. Within walking distance and well worth a visit, quite humbling to see someone of such standing laid to rest amongst his family away from the grandeur of London. A lovely warden greets us in the small on site office. She explains that a few pitches are out of bounds due to being re seeded but that there are still plenty to choose from. The site is slightly sloping and some units are using chocks. The pitch we choose is fine and soon we are set up and heading off on a trundle to Woodstock. Heading through the dog walk we follow the public footpath through the Palace estate which leads to the beautiful town of Woodstock. Wandering around the small town centre a small child alerts us to the fact that they have a vast array of door knockers. We aren’t sure if they are deliberately choosing elaborate and different door knockers, but they are quite unique. These alone inspired a completely separate blog, Door Knockers of Woodstock. Refuelling at one of the local hostellers we head back to watch the sunset over the Palace grounds. Up and at’em the following morning. After being stung last year buying food at the NEC we were prepared this time and took a packed lunch, £3 meal deal each from the local shop, nothing homemade for me, I hate homemade butties. Supplies stowed in a back pack off we marched across the car park towards Caravan and Motorhome heaven. Inside people swarm all over this year’s new models. Middle bathrooms and an Australian Bailey prove a popular choice and have a steady stream of visitors all oohing and aahing over new concepts and ideas within. TV’s that drop down into the counter, soft touch cupboards, fancy LED lighting and even new 8 foot wide caravans, to top it all a Lego caravan that was built just a mile away from our home. There is even a ‘van that is only viewable by appointment only, holding a price tag if £300k+. Being part of quite a large Twitter network of caravanners and as we entered I instantly spot a Twitter friend, Andrew Ditton. Being quite a prolific writer, blogger and vlogger he has camera in hand and is videoing. This reduces me to a fit of giggles which he records and includes in his vlog. So embarrassing really, my moment of fame and I don’t use it to my full advantage. What a wally! I was also able to meet and catch up with other Twitter friends The Trudgians who were involved in the series ‘Carry on Caravanning.’ So lovely to actually meet up with fellow tweeters in the real world. They did however make me feel a bit of a short arse, they are so tall! We trampled through a few motorhomes, still undecided if that is the route we will take to pursue our dream trip of touring Europe for 12 months. We keep going back to Bailey and Autotrail. Whilst we liked the current models the 2017 models are definitely an improvement. On show and for sale are all manor of Caravan/Motorhome accessories, in fact anything you could ever want or think of will be here under the one roof. A perfect day out really for seasoned caravanners, relative newcomers and for those who simply want to see what all this fuss is about. The day is also quite child friendly with some stalls offering activities to keep little minds occupied whilst mum and dad can test their weary legs with a cuppa. And, trust me your legs will be weary. 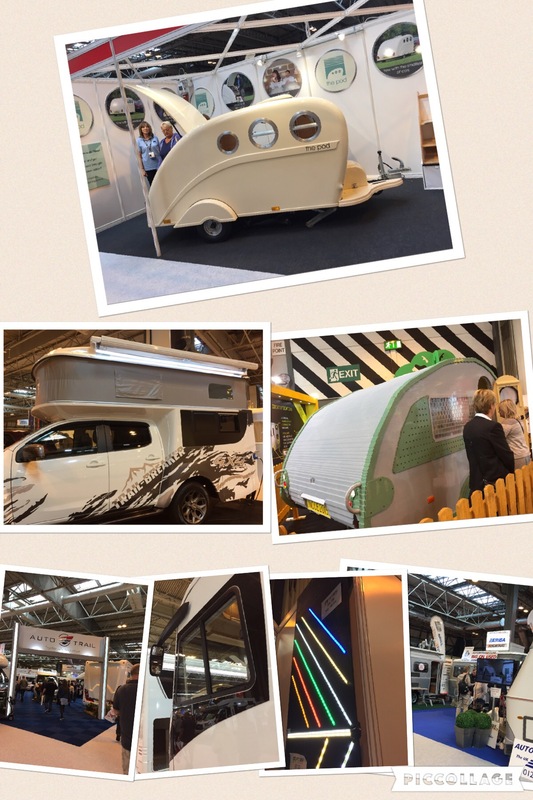 It is by far the biggest collection of Motorhomes,Caravans and accessories that you could hope to see all under one roof. Which in itself is an added bonus. We recently attended an outdoor show and with our Great British weather this isn’t always a good thing. 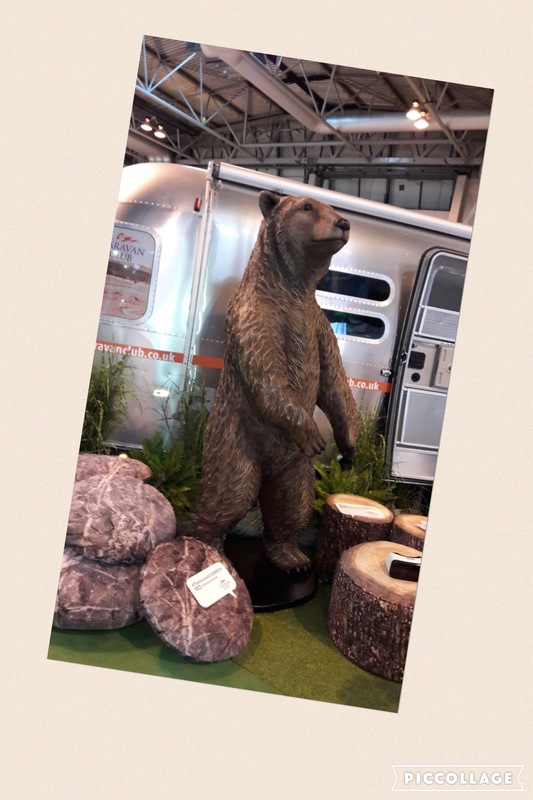 For those who feel that the show really is too big to do in just one day and would like a little longer to stroll around taking in the stalls then they also have areas for you to stay in your caravan, actually at the NEC with a free shuttle bus running regularly between your caravan and the venue. 6 O’Clock is approaching and the day is almost at its end. Last year we got stuck in the biggest traffic jam ever as the world and his wife all departed the Exhibition Centre together and an accident made matters worse. All traffic was redirected and sent in the same direction. Determined to learn by our mistake last year we settled into a seat with a sigh in the Wetherspoons within the arena. Tables were still quite plentiful and the feet were aching. The menu offered classics off their normal extensive menu, orders placed, drinks ordered. Time to sit for a while and just watch the world of caravanners go by. The largest portion of fish and chips arrived and was quite quickly demolished just in time really as all the stall holders started to arrive looking for well earned refreshments. Feeling refreshed we were able to give up our table for the tired folk who make the show possible. Thursday morning dawned a bit wet and miserable. Time to pack up and go home. It’s always with a heavy heart that I wake up on our final day. Oh well. Onwards and upwards. Not many weeks left till our November break on the Welsh border. 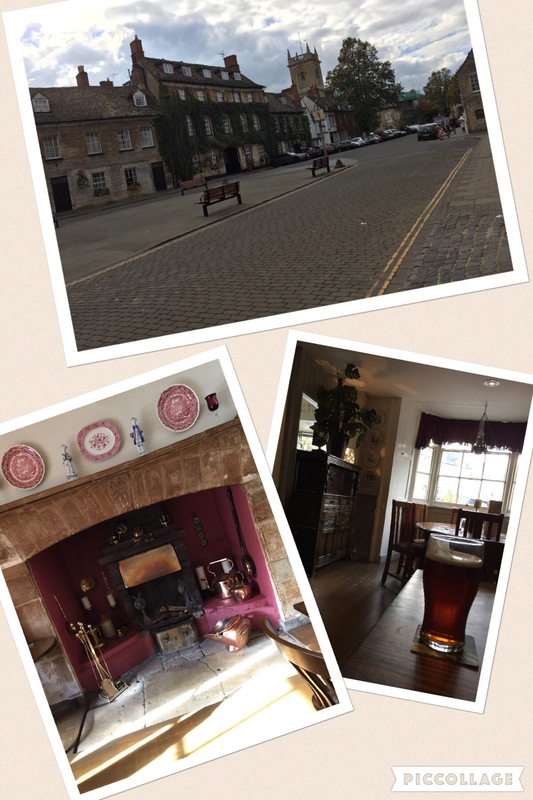 Just love that open fire place in the picture. A great article, smashing reading.